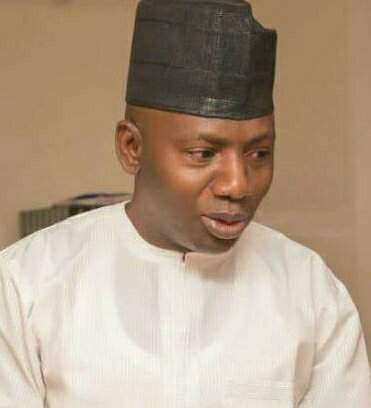 The Niger State Peoples Democratic Party (PDP) gubernatorial aspirant, Alhaji Aminu Mohammed Baka (Badakoshi Lapai) has expressed shock over the statement credited to Governor Abubakar Sani Bello that he never promised Nigerlites anything during 2015 campaign which he described as unfortunate and disheartening. He made his opinion known in an interview with some journalists in Minna, saying that the statement at a parley with journalists was an indication that Governor Bello has nothing to offer the state and demonstrated high sense of non concern for the development of the state. “Therefore, by implication what this means is that people of Niger State should wake up to stand against the opportunity for granting him additional four years otherwise even unborn child will beg for food from the womb”. Baka further said that the current Governor of Niger State was not prepared for governance and therefore should be voted out of power come 2019 general elections if the state development must be enhanced. The PDP aspirant decried that granting him additional four (4) years will bring the state to its kneels and complete collapsed of the entire system of governance in the state, added that if he never promised the citizens they are coming with seven (7) solid manifestoes agenda and promises that will touched all aspects of human endeavor that must be fulfilled under Peoples Democratic Party (PDP) come 2019. “It is very unfortunate for such a statement coming from a Governor, it is disheartening. This is a wake up call for Nigerlites to come out enmass in 2019 to vote for PDP and me to transform their lives and solve the current problems facing the state” he stated. He alleged that they have discovered that the ruling All Progressive Congress (APC) planning to influence with money PDP delegates to vote in favour of the candidate that will work for the ruling party in the state, however charged for resistance of such move and aspirants. Baka then urged the people of Niger state and delegates to vote for a credible candidate which must be him, who will be accountable, integrity, prosperity that will rescue and reposition the state to achieve a modern state. However, the aspirant further warned the state House of Assembly members to desist from approving the said N21.5 billion Sukuk loan for the present Niger government, Governor saying that history will never forgive them for not doing what is right alleged that the funds will be diverted for their campaign considering the political situation in the state. End.